Intellectual property relates to creations of the mind: inventions, literary and artistic works, and symbols, names and images used in trading. According to the agreement of TRIPS, Intellectual Property was ratified as the most suitable protection for software programs. It is not a secret that protected works can be easily transformed in digital formats and through computer networks such as Internet, easily and free of charge, copy them and post them. According to the new challenges related to the protection and management of intellectual property in cyberspace, the different types of research projects have proposed different technological measures to protect these rights in the era of information. Protect rights and technological achievements, is necessary for economic development and better management of intellectual property rights. Due to the fact that there is concern that any technological creation or application can be improved by a similar one to overcome it, the protection of the rights of the creations is very important. So there are necessary protections that surround the technology work, but not only I the programming aspect, but also impose legal intellectual property barriers that when violated they will be considered crimes and lead to consequential penalties. Human experience has shown that growth and economic and industrial development in societies more than anything is in innovation, creative thinking and new ideas which explode when they find a prepared runway suitable for this purpose. Therefore, communities must have a system of strong protection of intellectual property, which determines a balance between the general interest and the personal interests of innovators and create an environment where creativity and innovation can flourish for the benefit of all. The intellectual property system makes that abusers cannot easily use the innovations and inventions of people and thus achieve high profits without having spent neither money nor time to create the work. In this way you can protect the economic, social and cultural development of a community. Apps are nothing more than software designed to be run on operating systems, which of them it could be said the same as any other computer application. However, the truth is that the environments in which they operate have peculiar characteristics in what legal aspects are concerned and the developers of these programs should consider them well. One of the issues that generates many doubts among application developers is how to protect your creation. The registration of software and intellectual protection of computer programs, are covered by the law 11.723 of Intellectual property, which establishes that computer programs are considered as literary, scientific or artistic works under the terms of the law. Obviously, this means that the software applies the rules on intellectual property. It must be taken into account when protecting the created app, that both, the name and the logo that identified it should be protected by the trademark law 22.362. Own an asset that is profitable (for resale or license). Have the right of exclusive use for 10 years. 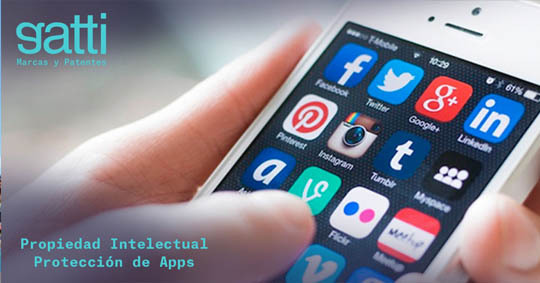 Register an app with the advice of Gatti &; Asociados gives you the benefits, which are derivate from the registration of the trademark, registration of an intellectual Property work and the ones of the software itself. It allows you to defend the authorship and gives you the protection in case a third party do not aim to claim authorship prior to registration purposes.